Dr. Lerner received his undergraduate education at Widener University in Chester, Pennsylvania and attended medical school at Kent State University in Kent, Ohio and the Ohio College of Podiatric Medicine in Cleveland. After graduating in 1986, he completed a surgical residency at the Jacksonville Medical Center in Florida. 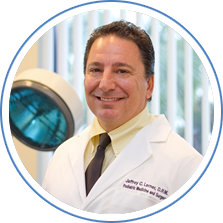 Dr. Lerner was board certified by the American College of Podiatric Orthopedics in 1992 and the American College of Podiatric Surgery in 1995. He has hospital affiliations with Palms West Surgical Center and has an interest in preventative care, sports medicine, and surgery. He has been in practice for 31 years.